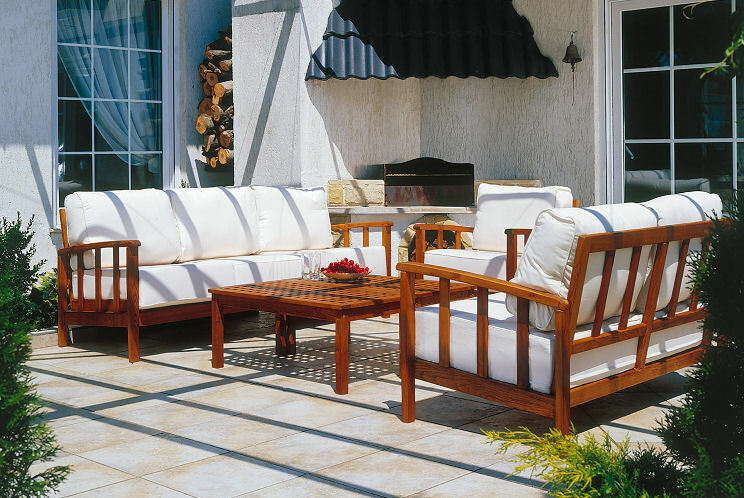 The MONACO grouping is a set of lounging pieces offering comfort that lasts for a long time. The armchair, 3 seat sofa, and love seat are wide and fitted with extra thick cushions for real lounging. The wooden frames are crafted from solid robinia for use indoors or out in the winter garden.